i like your push cart i made one a coupl of days ago and 2 day i sat in it and it busted i was sad couse i worked realy hard. 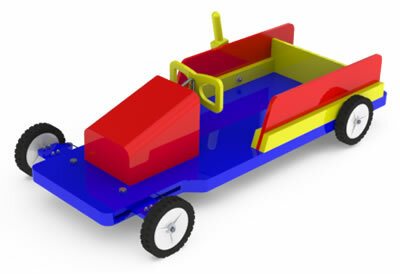 For this wooden go-kart you need to use good quality plywood. 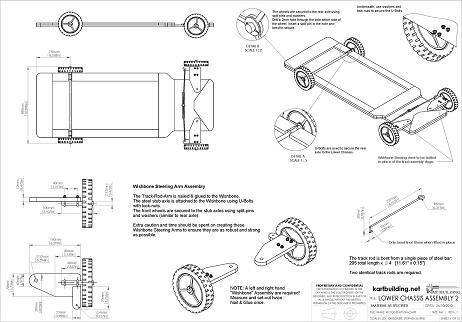 If you only have small pieces of wood (off-cuts), then it would be easier to make the other wooden kart ( http://kartbuilding.net/Wooden_Go-Kart_Plans/index.html ). That kart can be made with different sizes and lengths of wood. I’m sure you will be able to fix the kart and get it going. it was a little confusing and i couldnt find a stearing wheel so i used a bit if rope.i couldnt find a picture of it completed that i could us.